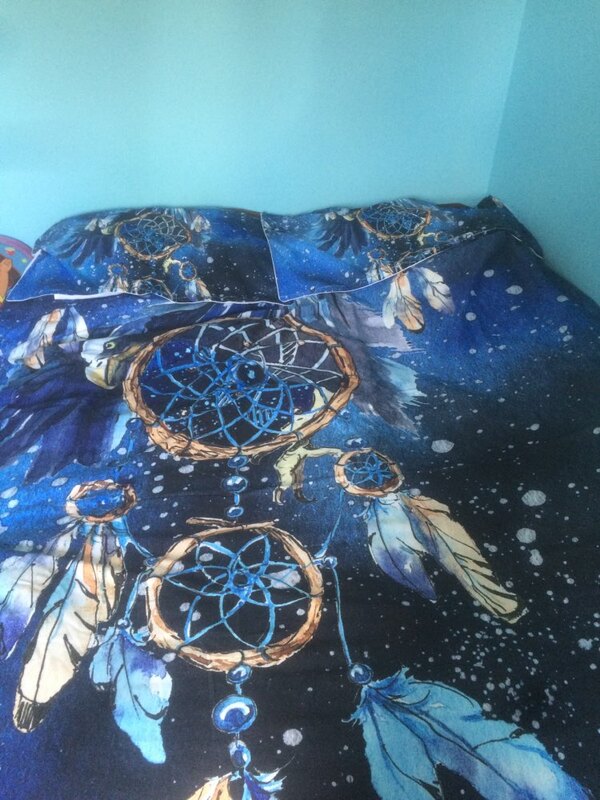 Our Blue Printed Dreamcatcher Bedding Set looks very precious and beautiful. 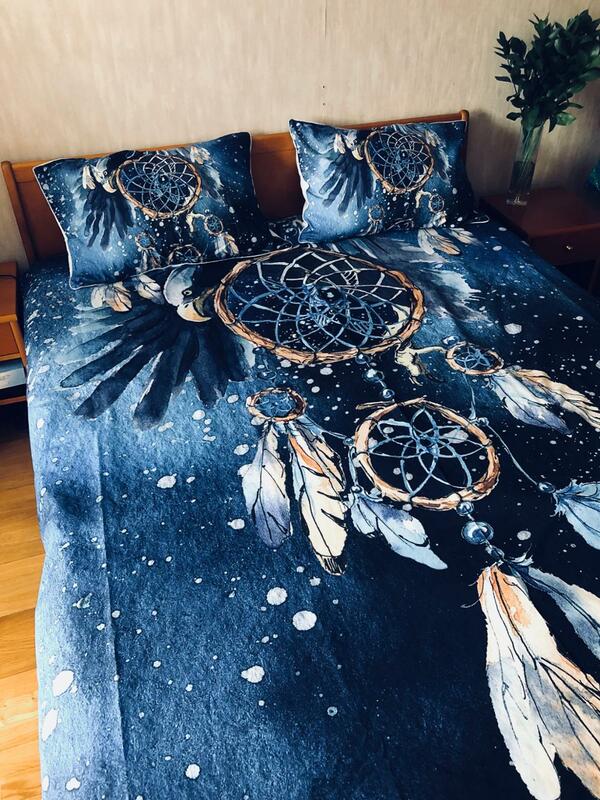 Bohemian style bedding set with a falcon and dreamcatcher design, the splashes of watercolor spots add an artistic touch to bedding, and the gradient blue performs your room more elegance. Pleasant dreams move through the hole into the sleeper’s brain, while the bad ones are caught inside the web forever. 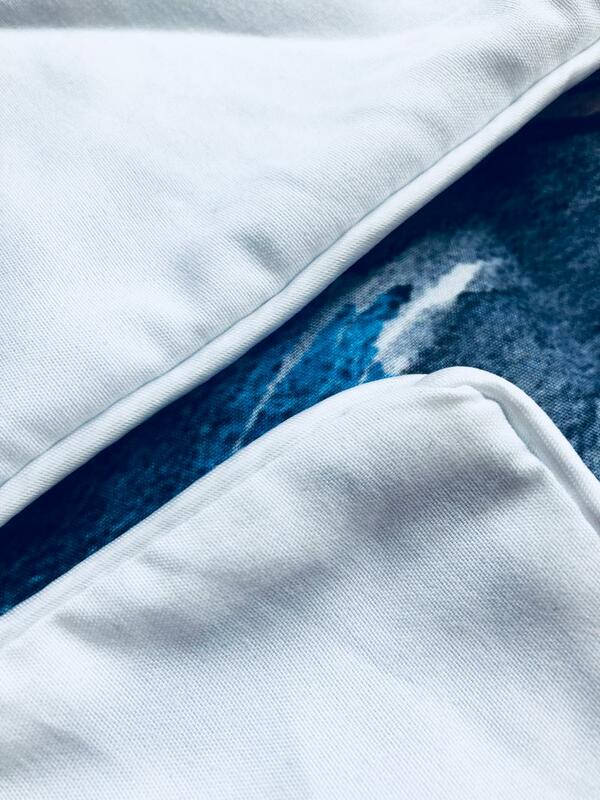 Our Mandala bedding is produced from strong lightweight fabric to offer you an individual and pleasant sleeping experience. Equipped with a hidden zipper – stays good even after 1000 times of use. You can easily wash them in the washing machine or by hand. 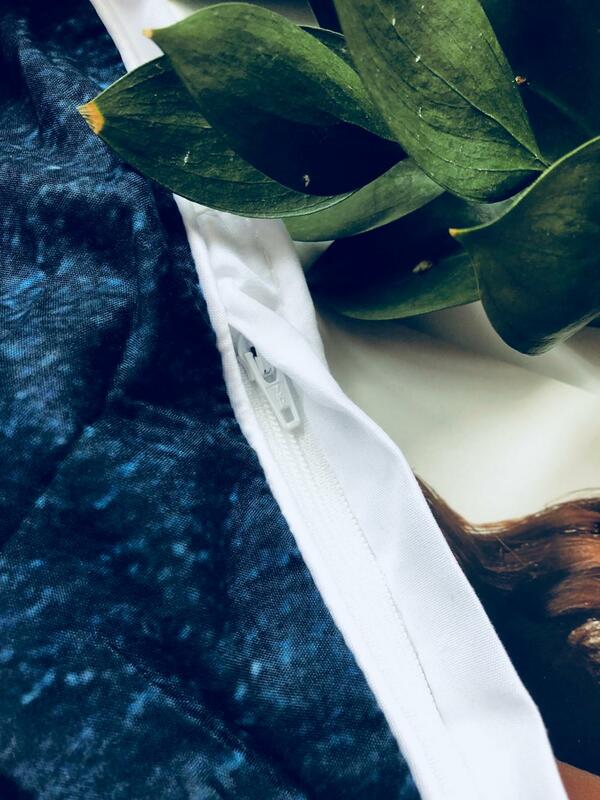 Made of Microfiber Fabric – super soft, strong and unusually smooth and comfortable, skin-friendly. Please check the size table before ordering. See Sizes below. If you are not sure of the size, please contact us. Excellent ***** All right, as always. looks great so far. I haven't put it on my bed yet. Very nice material, colouring and design for this price - I strongly recommend this store ! Спасибо! Я очень довольна!!! Качество супер! OMG !!!! IT’S JUST AMAZING ! JUST PERFECT QUALITY WITH RAPID SEND !!! THANK YOU VERY VERY MUCH ! 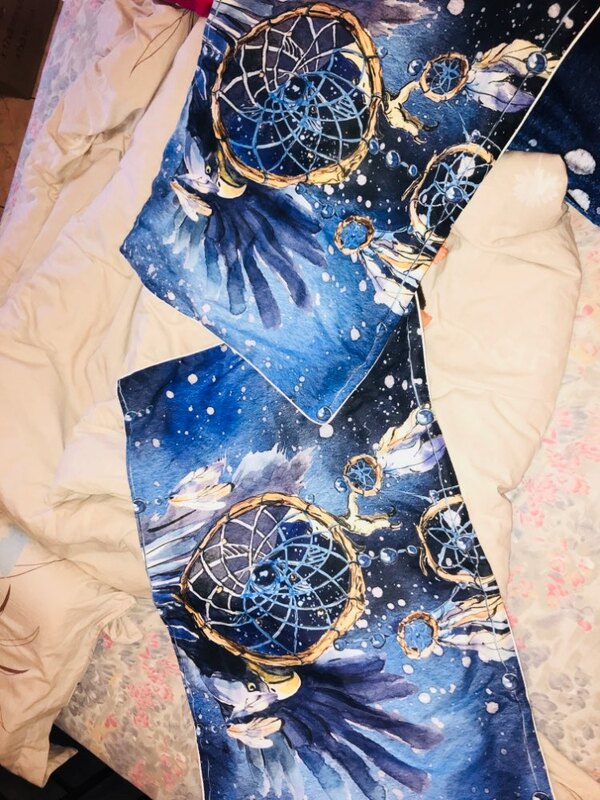 This set includes two pillowcases and a duvet cover. I liked the fabric. It is not thin, it is soft and does not electrify. 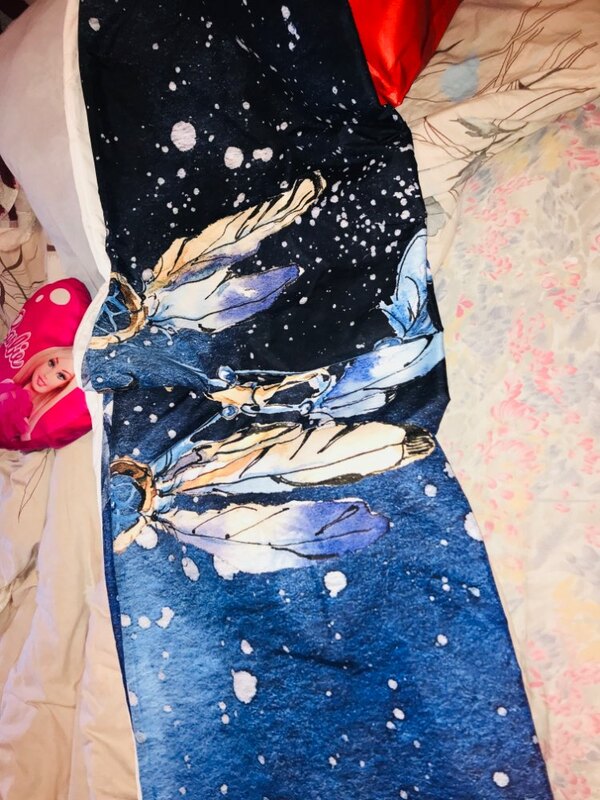 The duvet cover has a zipper. 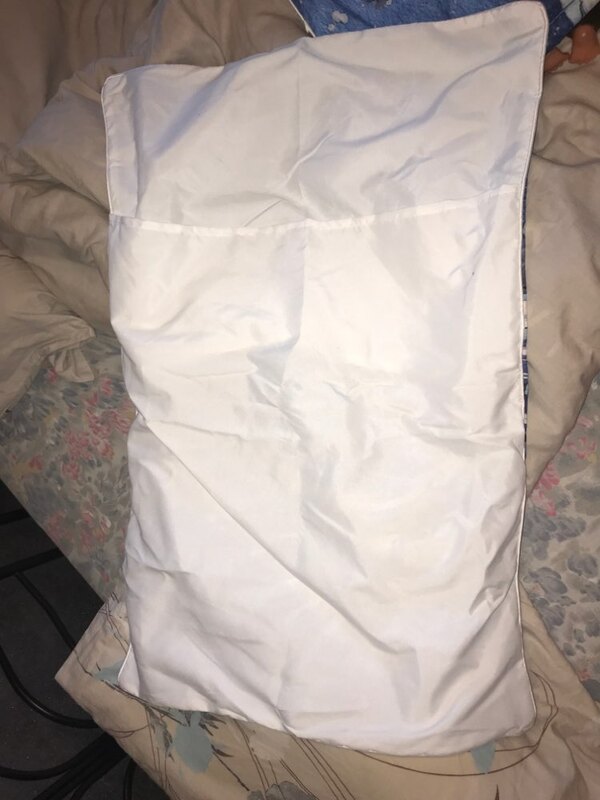 Pillowcases have a pocket for a pillow. 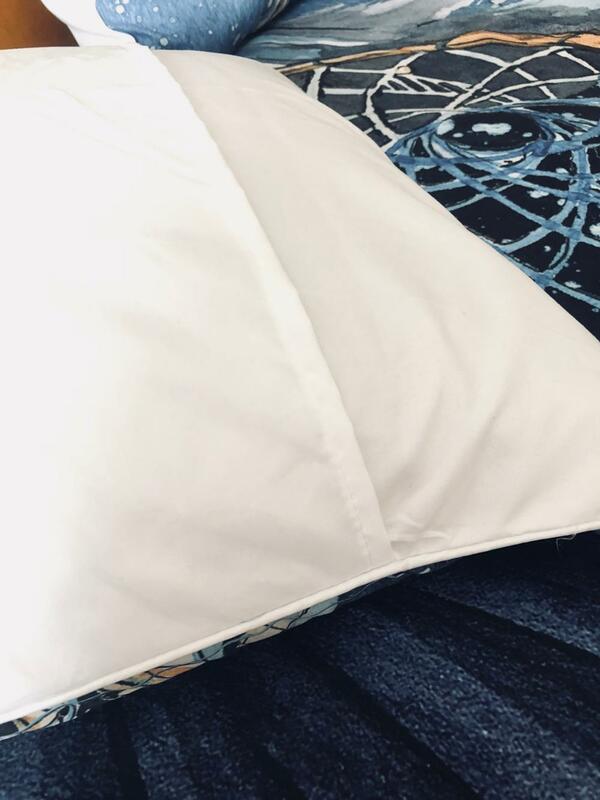 Please note that the pocket is almost in the center of the pillow, not aside. To put on a pillowcase is convenient, I have no problems. 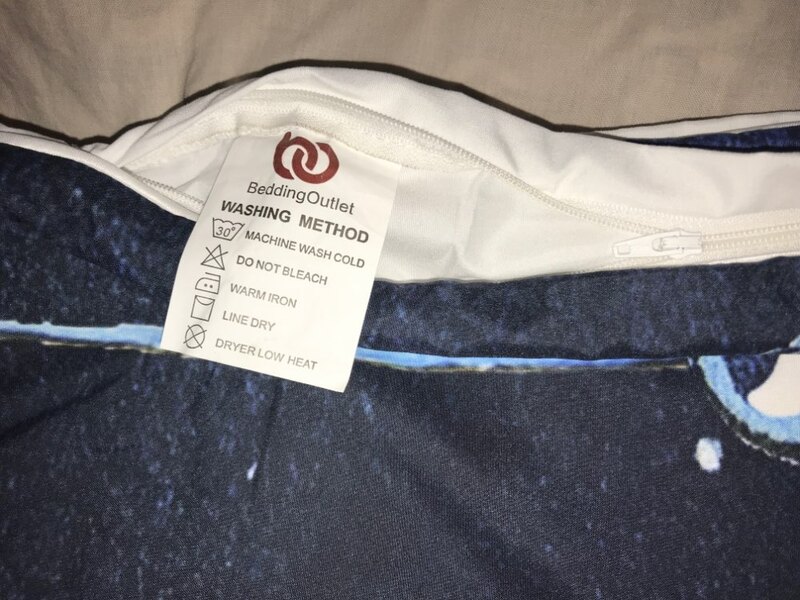 There was a tag indicating how to wash the set correctly. I was washing at 30 degrees and nothing happened with it. I liked the quality. The print is clear and bright. 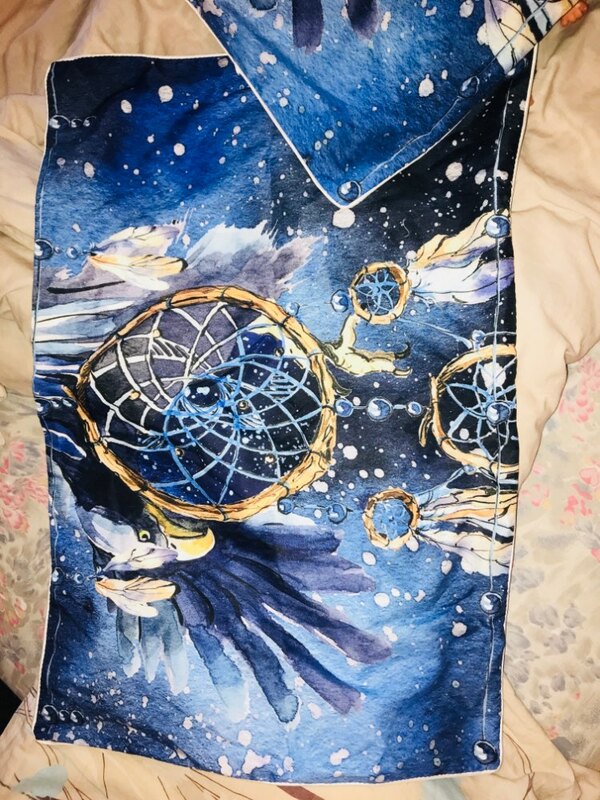 Zip on the duvet works well/ The fabric is pleasant.